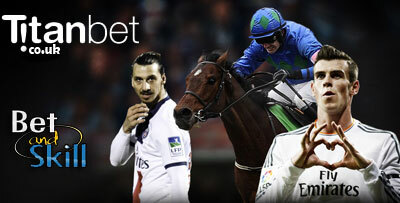 BetAndSkill are proud to announce the launch of the new UK-focused gambling portal titanbet.co.uk. An adaptation of the successful Titan brand, the new titanbet.co.uk has been specifically developed to suit the UK market offering Sports Betting, Bingo, Casino, Live Dealers, Table Games and Poker. On October 1, the new Gambling (Licensing and Advertising) Act comes into force. All online gambling operators—including poker rooms, sportsbooks and online casinos—that wish to continue taking bets from customers in the UK need to have a UK license. PT Entertainment Services, a subsidiary brand of igaming software services provider Playtech, has secured a UK gambling licence this month, enabling the operator to continue to offer its services to UK customers. The new site currently operate under Antigua license as the Caribbean Island is one of a handful jurisdictions that the UK Gambling Commission deem “whitelisted”. The idea is to capitalize on the UKGC’s short-term offer to let operators licensed in the soon to be phased out ‘white list’ jurisdictions – including Antigua, Alderney and the Isle of Man – to maintain continuity with punters while the UKGC processes their license applications. Titan will shift the current player’s account(s) on 8th September 2014 to titanbet.co.uk along with their deposits as well as funds will be transferred to new accounts. This will give players an open chance to players to have a joyful gaming experience with all the same gaming structure, bonuses and promotional deals. Players will use a single account to bet on games such as, Bingo, Casino, Live Dealers, Table Games, Poker and other Sports Betting. "Titanbet launch UK site and migrate all UK customers"